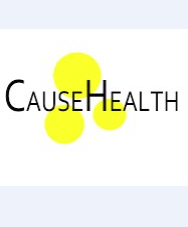 The workshop “N=1 – causal reasoning in clinical practice” was a perfect start of the new year for the CauseHealth friends. On the 12th of January the NMBU University campus in Ås welcomed us with a beautiful snowy landscape, and authentic Norwegian winter. Many of the participants were coming from the first CauseHealth meeting with a clear set of premises. Problems and risks of evidence- based medicine had been put on the spot, as well as the need for a change of direction toward more complex, holistic and person-centered clinical reasoning. After the October meeting we were left with crucial questions: where should the role of the expert stand with respect to the guidelines? What is actually clinical expertise, how is it shaped, can it be codified and transferred? What kind of evidence should be used or even prioritized in alternative/addition to population trials? The speakers did not hesitate to address the core of these challenging questions using parallels from their experience or research. While it is not possible to offer quick solutions in such a framework, every session triggered a fruitful discussion, where theoretical reflections mingled with practical examples, observations, problem spotting, suggestions and criticism. In other words, we could experience how much further it is possible to come when interdisciplinary effort is made. We do not intend to give here a detailed report of each session. We will rather encourage the participants to contribute individually in this platform with posts or comments. However, it might be useful to summarize briefly the main topics of discussion. Anna Luise Kirkengen and Matthew Low pointed out the importance of narration in clinical practice. Anna Luise presented a detailed study case of a patient with chronic pain that was rooted in psychological conditions and life experiences, including childhood sexual abuse. Only the deep analysis of the patient as a person in her totality could solve the medical problems. In contrast, years of conventional therapy based on isolation contributed to creating the “chronicity” of the pain and other conditions. Similarly, Matthew introduced the case of a patient affected by chronic pain and coming from a long series of therapeutic failures. Matthew´s therapy was based on effective communication with the patient and a joint effort to sketch all the important variables in the picture and assign to each variable a causal relevance. This approach empowered the patient, who could, as a consequence, take the key initiative for triggering the solution. In contrast, Roger Kerry introduced the clinical guidelines available to physicians in the U.K. This guidance is based on population studies and is given absolute priority in EBM. Interestingly, Roger pointed out that the guidelines are never about a person, but about a disease. Absolute power is then given to the authority of data instead of empowering the patient making the decisions. The next thematic area concerned the generalization of evidence and prediction for the single case. This had several contributors. Samantha Copeland talked about the pitfalls in the process of generalizing from a single instance, with particular reference to unexpected observations in clinical research. As a case example, she adopted what the media called “the Norwegian research breakthrough”, where researchers from the Haukeland University Hospital (Bergen) incidentally observed in some patients an improvement of CFS as side effect of an immune suppressant drug. Carlo Martini framed the concept of clinical expertise as a unique combination of knowledge and experience. Starting from the provocative provision that, in a near future, machines will be able to substitute doctors, he argues that only experts can evaluate case by case whether the external validity of an experiment also has clinical validity. Jonathan Fuller presented his “risk generalization-particularization (Risk GP) model”. This regards the inference in which we transform an outcome in a population into an outcome that applies to an individual member of that population. This and other prediction models face many problems, including the heterogeneity of treatment effects and the reference class problem. Alex Broadbent argued that a good clinical outcome is not based on the amount of available data, rather on what he calls “predictive contrastivism”. This consists in reasoning about the most probable hypothesis with a different outcome and on identifying causal differences between the two hypotheses. Heuristic thinking should therefore not rely on “what to know more about”, but on “what could go wrong”. Problems generated by the “one size fits all” attitude where pointed out by Tobias Gustum Lindstad and Robyn MacQuarrie. Tobias, supported by his clinical experience as a psychologist, indicated the problems with following predetermined methodological formulas in psychology. Robyn talked about the exclusion of pregnant women from population studies, with consequent ignorance about efficacy and side effects of treatments, and impossibility to apply data from population studies to this sub-population. Some speakers offered suggestions for an alternative type of evidence to the population studies. Rachel Cooper proposed that patient-produced evidence has high potential because it is free from the bias of industry driven research. Elena Rocca suggested that detailed reports of cases of failure could help clinical reasoning and generate new hypotheses, whose value for the improvement of clinical thinking is independent from their verification with population studies. Henrik Vogt presented the promises and the pitfalls of a rising field: personalized system medicine, based on “big data” about the single person and on mathematic models of “the whole”. Finally, Rani Anjum and Stephen Mumford drew a parallel between evidence-based policy and rule utilitarianism, which says that you apply the rule that brings more utility, or happiness. They argued that a utility maximizing clinician would have good reasons to break the rule if she thinks that it wouldn’t benefit that particular patient. It is not possible to report here the extended and productive discussions that these talks generated. Therefore, we invite you to check again this space in the near future, since it is going to be used as a platform for comments, opinions, and suggestions of useful resources. For now, we thank all the participants for their important contribution and we are looking forward to the continuation of our discussion!